Oh dear! Honestly, sexual offences are way so wrong. It's one of the greatest offences to humanity, if not number one, and we like the way people on the other side (other continents) deal with this. Honestly, no hating us, Africans NEED TO LEARN. You know what, France has now waded into Weinstein's sexual assaults.... Atleast 30 women have come forward... And now France wants to strip him of his honour. Yesterday, France's President, Emmanuel Macron (a whole President o) will this happen in Nigeria? Other African countries? A president getting involved in sexual assault cases? When we are not talking power or politics? You no they won't even get involved because he is a big man and should be forgiven, you know right? So Macron has announced that France is moving to revoke Weinstein's Legion of Honor, the highest French order of merit that can be bestowed for military or civil acts. 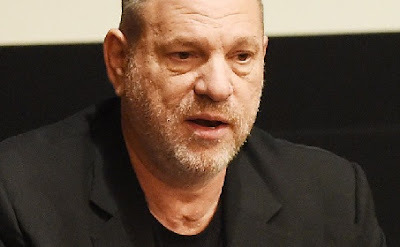 Weinstein got the distinction in March 2012. Now the President says he has already asked the French Academy to begin the process of stripping Weinstein. Recall Weinstein also just got expelled from The Academy of Motion Picture Arts and Sciences this last weekend? Well until he is remorseful and pays the price. He even gave an F finger last week when photog tried to get him to talk. Well, now he knows people aren't playing!